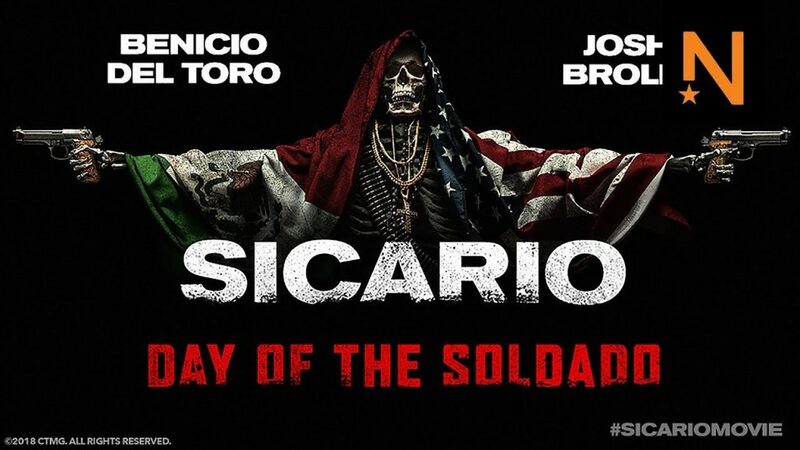 Sicario: Day of the Soldado is the latest film from screenwriter Taylor Sheridan and was in theaters during the summer. It stars Benicio del Toro, Josh Brolin and Isabela Moner and is the follow-up to the fantastic Sicario. Unfortunately, this film isn’t anywhere near as good as the original film. Before we talk about the sequel, I should give quick thoughts on th original. Sicario is a modern masterpiece in my opinion. Everything about it is brilliant. Roger Deakins did a great job with the cinematography, the score was exceptional, Denis Villenueve’s direction is outstanding and performances from Brolin, Emily Blunt and Benicio del Toro are outstanding. The movie is brutal and intense throughout. And for the first 40 to 50 minutes, the sequel is nearly as shocking and engaging. There are a few absolutely brutal moments like the scene in the shop with the mother and daughter or Alejandro’s (del Toro) use of a gun. The opening was meeting the high expectations I had for the film. Even the premise of capturing the little girl and starting this drug war in Mexico was interesting and set up a thrilling second half. Despite all of this, the film’s plot completely falls of the rails for the next hour and a half. There is this “twist” that was revealed in the trailer and I won’t spoil it here just in case you haven’t seen it. After this happens the movie seems to lose all sense of direction that it had and the writing begins to get significantly worse. In my opinion, the story goes nowhere and nothing that was set up has a satisfying pay off. There is also this one arc in the movie involving one of the smuggling families that was not really needed for the story and was just there so the studio could lay the groundwork for a potential third movie. This could have been executed much better than it actually was. Instead, it came across as forced and did nothing but make the film feel longer. The final scene also had no emotional impact and was yet again, tacked on to set up a third entry. Maybe the second half would have actually been watchable if the cinematography, score or direction was as good as the last film. Unfortunately, Johann Johannsson passed away, and Roger Deakins and Denis Villeneuve did not return for the film. All of this is very evident as the cinematography is often bland and is not even comparable to the cinematography in Sicario. The score is also quite bland and nothing about the overall direction of the film really stands out. Technically, this was a massive step down from the original, and that becomes a huge problem when one of the best parts of Sicario were the technical aspects. Another key member from last time that did not return was Emily Blunt. Unlike the other absentees, this movie didn’t need her character. Her arc was over. The absence of her character let the writing focus more on Brolin and del Toro’s characters, and this helped as I find those two characters way more interesting. Brolin and del Toro also put in exceptional performances and this was one of the few bright spots of the second half. Isabela Moner is also really good and her chemistry with del Toro was really good. Despite a pretty poor second half, there are a couple of good moments like the character interactions between del Toro and Moner. If this actually had a narrative purpose and satisfying conclusion it would have elevated the overall quality of the movie. There is also one scene with a deaf man that is one of the better scenes in the movie. Overall, Sicario: Day of the Soldado, starts off on the right foot but drops off in quality after a twist and has a practically unwatchable second half due to a bad script and worse direction, cinematography and composition compared to the original movie. This movie deserves a D+.